Forgot Windows administrator password? Locked out of Windows? Relax! 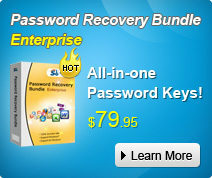 SmartKey Windows Password Recovery can instantly reset Windows password. It helps you remove Windows password efficiently and let you login Windows without password. You have no need to format or re-install Windows! Support Windows 10, 8.1, 8, 7, Vista, XP, 2000, etc. Remove Windows lost or forgotten local Administrator and Guest account password. Reset Windows Domain or Windows Server passwords. Crack Windows passwords no matter how long or complex the password is. 2 options to create a Windows password reset CD/DVD or a USB flash drive. 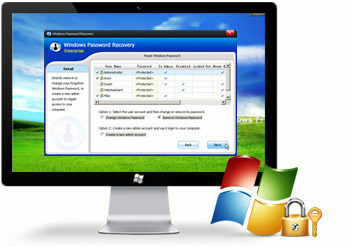 One is to make a Windows password reset disk with the default ISO image file provided by Windows Password Recovery Software. The other is to burn a Windows password reset disk with a new ISO image with built-in Windows Setup CD when computer can't read the default ISO image. 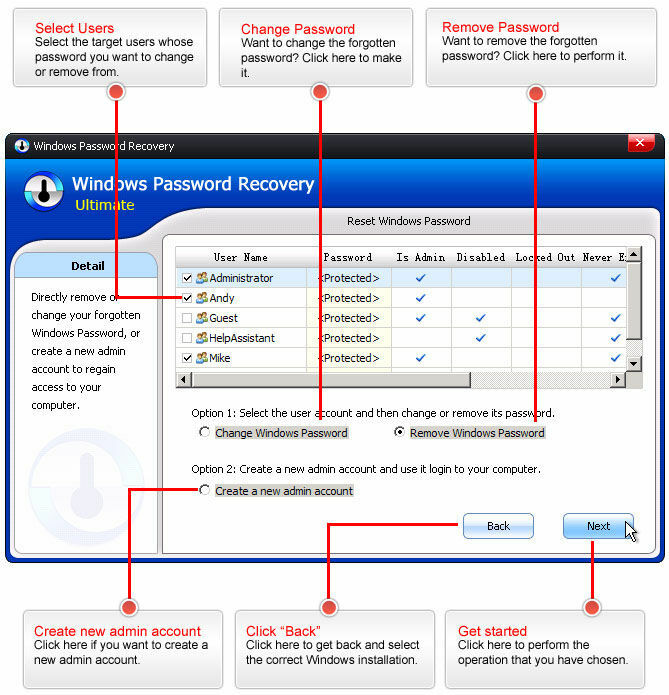 Step 1: Download and install, run the Windows password recovery tool on an accessable computer. Step 2: Create a Windows boot CD or DVD with the program. Step 3: Reset Windows password with the created CD/DVD. Support all brands of desktops, such as Asus, IBM, HP, Dell, Sony, Lenovo, etc. Reset Windows password for latest laptop such as HP Pavilion, Toshiba Satellite, Lenovo IdeaPad, Samsung ATIV Bookm, etc. Support Windows 10, 8.1, 8, 7, Vista, XP, 2000 and NT, etc. Support file systems like FAT16, FAT32, NTFS, NTFS5, etc. Support various types of hard drives like IDE, SATA, SCSI, etc. 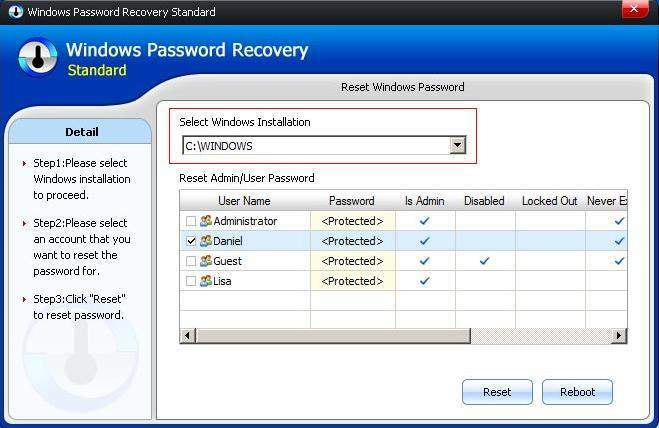 Windows Password Recovery Standard rated 4.5 stars by CNET editors. It's so easy to reset login password directly in Windows. Thumbs up!